I don’t often take vacation time away from work (I should but that’s a whole other discussion), but I did recently. When I was gone, the guys in the office did something kind of odd; they installed a pull-up bar. Yup, right there in the middle of the place. Long story short, it turns out that none of us enjoy doing pull-ups. We all have our respective exercise routines, but none of us have made traditional pull-ups part of our regimen. Because they’re awful. The very act of pulling your body weight from a full hanging position to getting your face above the bar is something that not a lot of people can do, maybe because not a lot of people enjoy it. That’s why we have a pull-up bar in our office; it’s not fun, so let’s do them. Now that it’s been there for a few weeks, we’re all doing pull-ups throughout the day. Need to use the restroom? Do five pull-ups on your way. Warming up some leftovers for lunch? Pull-ups. Just got off a phone call? You get it. This exercise is one of leaning into the things you dislike until you either like them or are at least able to withstand the pain without much fuss. And this brings me to you. I’m not going to shame anyone into doing pull-ups, but I do think it’s a great metaphor for where we are in the investment cycle. You may have noticed the market has experienced some lousy days of late. In fact, The Dow dropped 799 points on Wednesday and is looking similarly awful today as I write this. When the market does this, I hate it. I hate it. I hate it. I also know this is what markets do. Without these downward swings, there’s no premium for an investor to be paid for taking on the risk of investing. No short-term losses, no long-term gains. While we can all hate this, it’s time to get on that bar and do some pull-ups. In other words, we don’t have to enjoy the process – like we don’t enjoy pull-ups – but enduring it and even leaning into it has incredible long-term benefits. History has shown us that the great days in the market will come without warning and often without reason, so sitting in cash on the sidelines waiting for the best time to invest almost always ensures very poor results over the long-term. So, if you’re feeling uncomfortable watching the market, remember that you can always stop into the office and join us in some pull-ups while we patiently wait for sunnier days ahead. Doing two here and five there will ultimately lead to getting tightened up and strong, able to endure the challenge of the tough days. 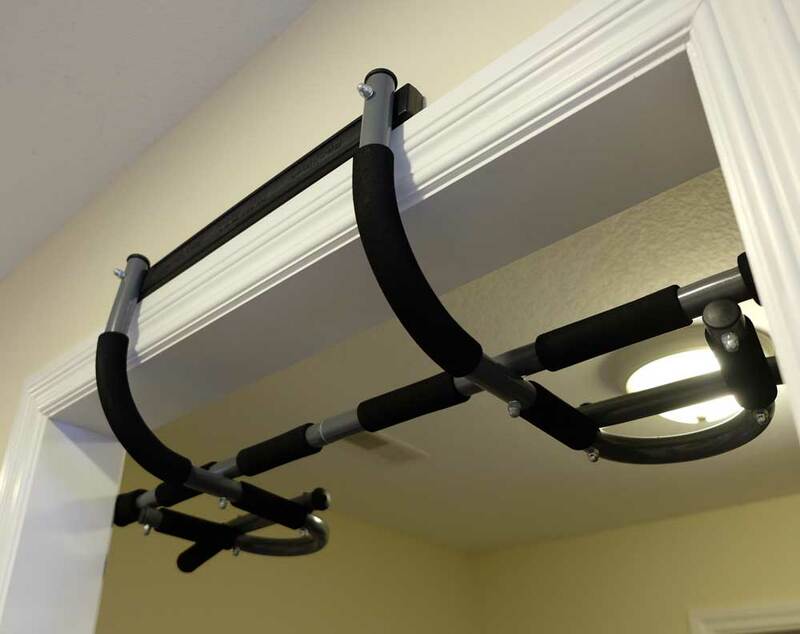 Or you can just laugh at us because who installs a pull-up bar in an office?! Adam Cufr, RICP® (Retirement Income Certified Professional®) is a financial advisor and founding principal of Fourth Dimension Financial Group, LLC providing personal finance and retirement planning services. Adam is a Columnist for Retirement Advisor Magazine. He is also a sought-after media commentator and thought leader. Adam was named one of The 20 Most Creative People In Insurance in 2015 and is a columnist for Retirement Advisor Magazine and the author of Off the Record – Secrets to Building a Successful Retirement and a Lasting Legacy. Fourth Dimension Financial Group, LLC is an SEC-Registered Investment Advisor (RIA) dedicated to focusing clients on the important retirement planning decisions necessary to manage their income and wealth for a lifetime. By combining financial planning and actionable planning advice with objective investment guidance, we strive to enable clients to achieve their retirement goals and shape their legacy for generations to come.